Well, I am back. Its been well over a year since I last posted but I am ready to start blogging again. So, what happened to me in the past year? Work made it very difficult to game, much less write about gaming. I worked as management in a retail store and my store has been a particular challenge over the last 1.5 years, finally culminating in me taking a severance and finding new employment. The stress levels were outrageous and I simply never felt like gaming or doing much of anything. Thankfully, that is behind me now. I now have a new job that is completely out of retail, making more money and a lot less stress. Because of this, I am going to get back into gaming and thus back into blogging. I am not really playing anything currently as nothing really interests me out there right now. I played a bit of Rift and it is still an excellent game but I am still somewhat weary of the old hot-key style WoW combat. GW2 was a let down for me for a number of reasons that I will probably make separate post for this week. I believe my next MMO foray is going to be Elder Scrolls Online. I have played in numerous beta events and have really enjoyed the game. The first few levels are dead boring and I would not blame anyone for trying it and going away disappointed or underwhelmed. However, after level 10-15, the game seems to take a major turn for the better and becomes very engaging. The PvP is even better. The RvR seems to be done correctly and really improves upon GW2 RvR (or WvW as they call it). Not only is it fun but they have seemed to do wonders with the engine because lag and frame rate issues seem to be at a minimum, even with hundreds of players on screen at once. However, that is enough for now. I need to make a dedicated ESO post as well, so expect that within a couple of days. For now, for the few readers who might still be subscribed, thank you for bearing with me this long! 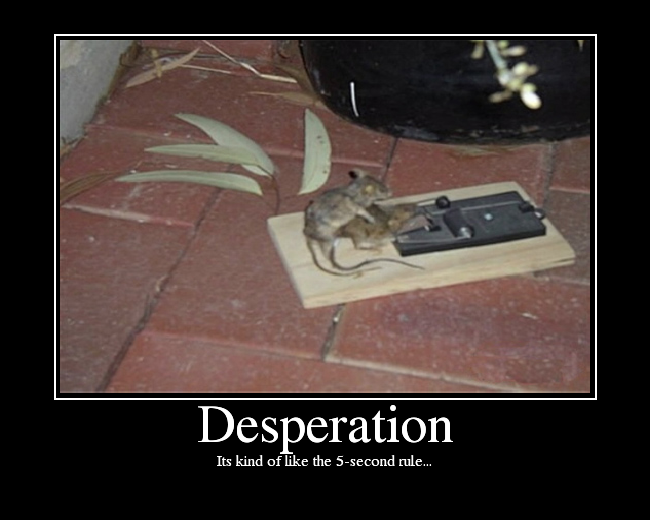 I Can Smell the Desperation…. Yesterday Blizzard expanded their ‘Scroll of Resurrection’ program and by expand it I mean they buffed it to old Ret Pally proportions. What once was just a standard ‘Welcome Back’ type program, now gives the former player seven days of free playtime, one character boosted automagically to 80, free realm transfers, free faction transfers and a free copy of Cataclysm! If this is not a desperation move by a company bleeding subs at an astounding rate, I don’t know what is. The first move, giving away a free copy of Diablo 3 for a year WoW sub, was bad enough but this is taking it to an entire new level. After two mediocre expansions and a design philosophy that has killed the old feeling of a living world, WoW is finally feeling the burn of bad decision after bad decision. I don’t buy that SW:ToR, Rift or GW2 is killing WoW. Blizzard did this all by their lonesome. They are now reaping the consequences of killing ‘Vanilla’ WoW and changing it to what we see today; a game with no server community, no open world interaction, no server rivalries. A game that has become a virtual chat room while waiting for the next mini-game to pop. I could not be happier and the MMO world will be much better off for it. If you read my last post, you may have come away with the thought that I ended up disappointed in Rift. To the contrary, I think Rift is the apex of post-2004 ‘WoW-Style’ MMOs. I think Trion did a fantastic job with almost all aspects of Rift, while staying pretty much within the standard quest-hub leveling, raid endgame style of MMOs that we have all seen since the launch of WoW in 2004. Indeed, Rift has everything one could want in a themepark MMO of this style. The questing is standard MMO fare, the raids are at least as good as WoW, the instances are fun and plentiful, the graphics are solid. To top it off, Trion is, without a doubt, able to get new content into the game faster than any other developers around right now. The amount of content they have gotten into the game since release is astounding. Simply astounding. Trion was able to create a MMO that check marked all the proper boxes (questing, raids, instances, battlegrounds, crafting, dailies etc.) while adding some unique twists of their own (Rifts, Raid Rifts, PvP Rifts, Instant Action etc.). I don’t think there is another themepark MMO out there that has as much pure value as Rift does. If I was recommending a MMO to someone who had never played a themepark MMO before, I would recommend Rift. Its quite simple the best themepark style MMO out right now. I will continue to play Rift for quite a while, even after GW2 releases. I still find the game fun and Trion is one of the few MMO devs that actually deserves to be supported. They are a fantastic, hard-working company that seems to care about the product they are releasing and the fans who are buying it. Trion certainly did not turn the themepark MMO world on its head when they released Rift. It is too similar to other MMOs to be truly unique but they did create a very feature rich, quality MMO in its own right. Which brings me to the polar opposite new release MMO: SW:ToR. A few days ago I mentioned that I was going to enjoy the inevitable fail of Star Wars: The Old Republic and, of course, I had a few people on Facebook and such asking me exactly how I could think that a game that sold as many copies as SWToR could fail. Quite simply, I believe it failed before it was even released. Bioware took a mediocre single player game and tacked on a 2004-era MMO on to it and called it done. The story told in SWToR is okay, I guess, though somewhat hokey and gets less compelling as the levels wear on. The vaunted cut-scenes get old very fast and are skipped more often than not. The story is certainly not enough to sustain long-term interest. To hold a MMO player for any length of time you need a compelling end game and SWToR does not have that at all. Matter of fact, if you take the cut scenes out of ToR, you would have a MMO that would be regarded as laughable at best. Very few features, mediocre instances and raids, boring combat, laughably balanced PvP, snoozefest crafting. Everything about ToR in regards to the actual MMO side is horribly done but because its tacked on to a Bioware single player story it was overlooked…..at least at first. That is quickly changing. The general dissatisfaction with ToR is starting to border on hate among most MMO sites and forums I frequent. People are starting to see what it truly is and are leaving in droves. I said in my last post that you could take away Rift’s most unique feature (the Rift and invasion system) and you would still have a solid, feature rich MMO. The same can not be said about ToR. Take away its most unique feature (the story and cut scenes) and you would have a very, very poor-man’s MMO. The biggest problem faced by Bioware now is how to address future content. If they concentrate on releasing standard MMO content then the one feature that they have touted the most gets left by the wayside but if they focus on story the content releases will come much to slowly. Nothing takes as much time to produce as fully voiced and cutscened story. Funcom and Sony Online Entertainment both realized this quickly. It simply takes to long to produce so they abandoned it. Bioware will come to the same realization. Either take their time to release the story content and piss off a lot of players with lack of true content or abandon the story content and abandon the one thing they have that separates them from WoW. I think ToR will end up being the biggest disappointment in MMO history. Players are already abandoning ship and it will just get worse over the next few months. When Guild Wars 2 releases it will have a heavy story emphasis as well but it also has a fully featured MMO to support it. The next few months will not be kind to SW:ToR. Breaking Bad is one of my favorite television shows. Matter of fact, I would go on record as to call it one of the best shows of all time. It is simply fantastic. A couple of seasons ago, there was an episode titled “Half Measures“. 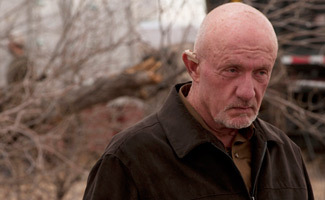 During this episode there was a long monologue by one of the characters (Mike, played by the great character actor Jonathan Banks). In this monologue Mike talks about a situation he was in when he was a beat cop. In short, he found himself constantly called out to one certain address where he would find a wife who had been severely beaten by her husband. After going there one too many times, he had finally had enough and, on the way to the police station with the husband, he pulled to the side of the road, got the husband out of the car, placed a gun to his head and told him that if he ever beat his wife again his life would be ended right there on the side of the road. Of course, Mike found himself called back to the same house a few weeks later to find the wife beaten to death. The moral of the story, according to Mike, was that by not killing the husband when he had the chance he took a “half measure” when he should have taken a “full measure”. By holding back and not going all the way, he doomed the wife to die. Now, you are probably wondering what the hell this has to do with MMOs in general and Rift and Guild Wars 2 in particular. Well, I am about to answer that very question! One year ago, Trion was kind enough to fly me to their studios in San Fransisco to interview them and take a tour of the studios. One of the things that I heard about while on the trip was how Rift changed from his original inception of “Heroes of Telara” to the Rift that we finally saw on release day. In its original version, Rift was much closer to Guild Wars 2 than it ended up being. Dynamic Events were originally able to change the world in a much bigger way than what we see in modern-day Rift, where they are only a temporary change. As time went on, Trion decided that the original idea would not make for a good MMO and changed everything, instead layering a pseudo-dynamic event on top of the standard WoW-style quest hub world. 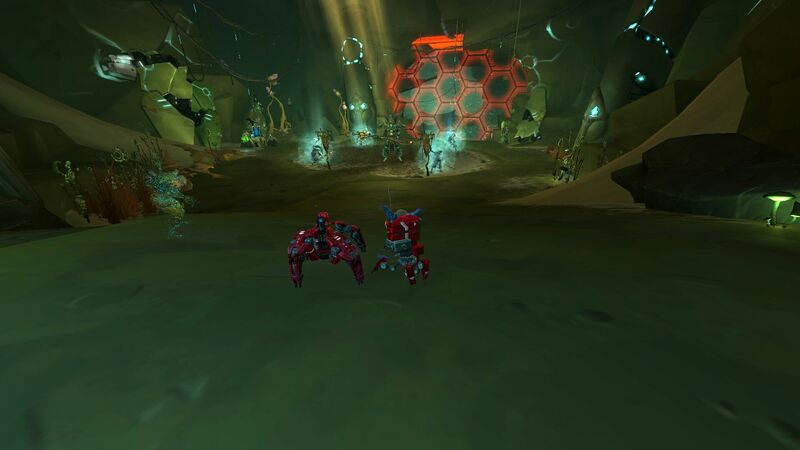 By making the decision to keep the standard quest-hub to quest-hub style MMO Trion had to dramatically throttle down the effect that the Rifts could have on the open world. Anyone who has played Rift can see why. How many times have Rifts and invasions gotten in the way of your leveling? If you have played Rift a lot, probably more than a few times. When your number one option to level is the standard MMO quest-hub to quest-hub style, then anything that interferes with that can be a nuisance. No longer could a Rift take over a quest hub for an extended period because it would make leveling too difficult. The dynamic events originally envisioned, the ones that could radically change the world, were instead changed to events that had only a small and temporary effect on the world. Simply put, Trion decided to scale back their original vision so that they could keep the standard MMO trappings that we have all known since WoW reared its head back in 2004. In short, they took the “Half Measure”. Guild Wars 2 is also selling itself through its dynamic events. The same ideas that made “Heroes of Telara” so compelling are present throughout Guild Wars 2 but, where Trion scaled them back, ArenaNet looks to have embraced them. They went the Full Measure. Instead of keeping the hub to hub, quest to quest MMO style that we are so used to, they threw out quests altogether. They are making the dynamic events the star of the show. They are attempting to revolutionize the way players look at leveling, classes and the endgame. By throwing out questing, they can make their dynamic events have real and permanent consequences in the world. They don’t have to worry that their newest dynamic event might inconvenience a player trying to get their quests done because the events are the quests. They have a chance to take their dynamic event system further than Trion does. Now, I can not say for sure that ArenaNet has done more with their event system than Trion did with Rift because the game is not out. But I can say that without quests they certainly have more room to do more. Only time will tell. One last thing, I want to bring up. ArenaNet has gambled much more on their dynamic events than Trion did with their system. If the Rifts and invasions were a dud in Rift, you are still left with a very solid WoW-style MMO. One that would have been moderately successful even without the dynamic-events. However, if the dynamic events in GW2 are not fun, or boring or don’t work, well, you are left with nothing at all. The events are GW2 and without them you have very little. Yes, ArenaNet took the “Full Measure” but sometimes the full measure doesn’t work out the way you want it to…..